It is rough enough for any debtor to worry about how the bills will be paid. Most debtors need to focus on finding a new job, getting healthy, overcoming a divorce or other reasons that led to financial difficulty. Federal law does not allow collection agencies the right to compound this worry by harassing the consumer or pressuring the consumer illegally. The FDCPA and other laws set forth a list of do’s and don’ts for every collection agency. 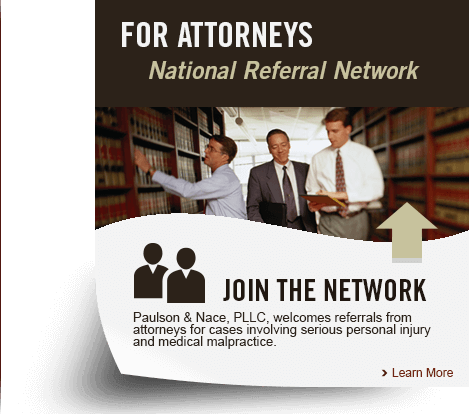 Paulson & Nace, PLLC, a family-owned and operated firm, has been helping consumers for four decades. Our West Virginia consumer protection lawyers know the full details of the FDCPA and hold collectors to the letter and the spirits of the law. We explain to debtors all of their rights, which center around the protection to repay their debt while not being embarrassed or pressured. We sue collection agencies for the monetary damage they cause debtors, make them pay statutory damages for violations, and charge the collector for the legal fees to bring the FDCPA lawsuit. Call during non-daytime hours. Collection agencies can only call debtors between 8 am and 9 pm daily. Continue communication with the debtor if the debtor sends written notice to cease communications. Some exceptions may apply. Call or let the phone ring just to harass or annoy the debtor. Contact the consumer at the consumer’s workplace if the consumer informs the collection agency that the employer does not allow calls at work. Contact the consumer after the consumer says he or she has a lawyer. Communicate with a consumer who has requested validation of the debt within the 30 day validation period and before the validation is sent. Misrepresent the facts or law or deceive the consumer. Publish the debtor’s name or location on a list of bad debts. Seek more than what is legitimately due. Threaten the debtor with legal action or arrest that the collection agency does not contemplate. Discuss the debt with third parties other than trying to find out where the debtor lives. Use embarrassing forms of communication such as postcards that can be read by non-debtors. Make false reports to credit reporting agencies or threaten to do so. Identify who they are and why they are calling. Verify the debt if asked. Paulson & Nace sues collectors who fail to comply with the obligations of the FDCPA or who commit a wrong prohibited by the Act. Damages for violations of the act include statutory damages and legal fees. Consumers who are being treated improperly by collection agencies can also contact the Office of the Attorney General’s Consumer Protection Hotline: 800-368-8808 or send your documentation to complaint@wvago.gov. There is a complaint form on the OAG website. At Paulson and Nace, PLLC, we know how upsetting it can be to be unable to pay bills on time. Our family of consumer protection lawyers work to make sure that collection agencies treat debtors fairly and according to consumer protection laws. If a debt collector is or has been abusing you in any way, please call us for advice and to understand your rights. You can make an appointment by calling our West Virginia office at 304-741-8079 or completing our online contact form. Our office is located at 3501 Maccorkle Ave SE, Charleston, WV 25304.